Winner, 2018 Book Excellence Award. While trying to make sense of an increasingly confusing and troubled world, teens get hit, again and again, with moves, separations, divorces, rejections, substance abuse, domestic violence, sexual abuse...and death. Add teen suicide and school shootings into the mix, and young lives and hearts seem to be more at stake than ever before. Edgy, fun-loving, tech-driven, and seemingly indestructible, their souls are shaking. Gnawing questions surface from deep inside: "How did this happen? Why me? Is this my fault? What am I supposed to do? Who's next? Am I going to make it?" Teen hearts are at risk. Each one is a priceless treasure. We can't afford to allow pain and loss to get the better of them. 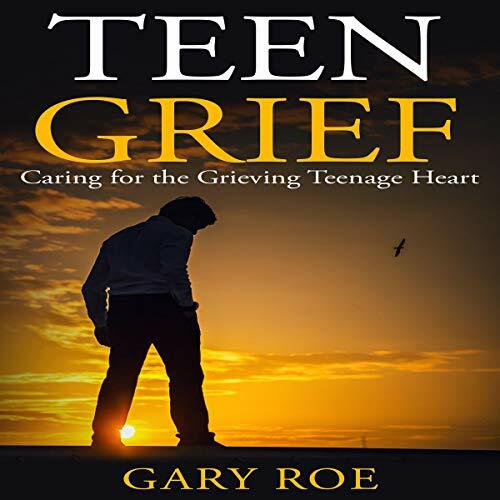 Multiple award-winning author, speaker, and grief specialist Gary Roe is a compassionate and trusted voice in grief recovery who has been bringing comfort, hope, encouragement, and healing to hurting, wounded hearts for many years. He created Teen Grief at the request of parents, teachers, coaches, and school counselors. This informative, practical audiobook is replete with guidance, insight, and ideas for helping teens navigate the turbulent waters of loss. While it primarily focuses on losses due to death, the principles discussed can be applied to any loss a teen might be experiencing. How large an issue teen grief is and how deep their pain goes. How the teen hearts tend to see and interpret loss and how they attempt to manage it. How you can come alongside teens and help them deal with shock, denial, sadness, and anger. How you can support teens as they navigate anxiety, fear, guilt, and depression. How you can walk with teens in their loneliness, confusion, and skepticism about life and the future. How you can be a safe person who cultivates hope in teen hearts. How you can use your specific role to have a positive and healing impact in teens' lives. Teen Grief also includes hints for group discussion so that this resource can also be used by school staff, across entire school districts, and in churches. Together, we can make a massive difference - one teen at a time. Parenting, education, teaching, coaching, quality relationships, personal health, diet, fitness, counseling, psychology, and therapy can all play a positive role in teen lives. If we can help them discover how to turn losses into gains and transform hardship into something productive, positive, and good, the ripple effects could be extraordinary. As they heal and grow, they can become the difference-makers this world so desperately needs. Teens are the future. They need you. It's time to help them heal. Discover what you can do.